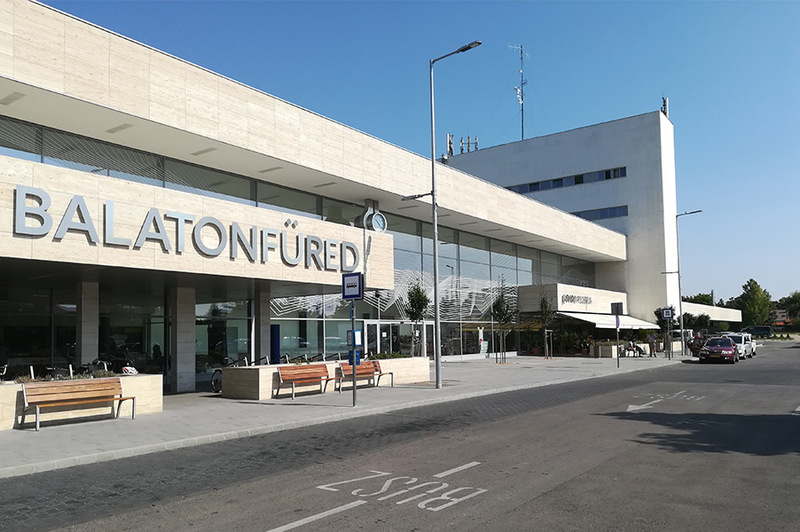 The reconstruction of Balatonfüred railway station originally built 40 years ago was finished in 2017. 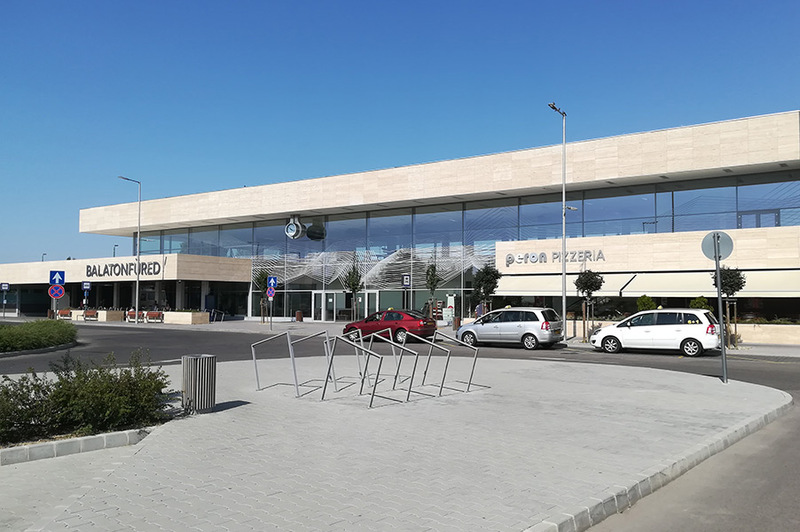 Not only was the facade of the building renewed, but the offices, technical rooms and the passanger information system as well. 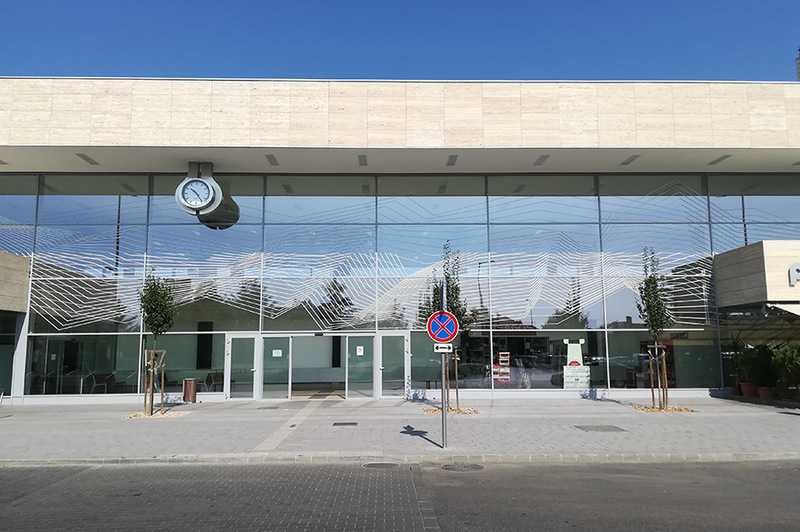 The new ceramic printed glass facade depicting waves marks the 2017 Aquatic World Championship and symbolizes the waves of the lake Balaton. 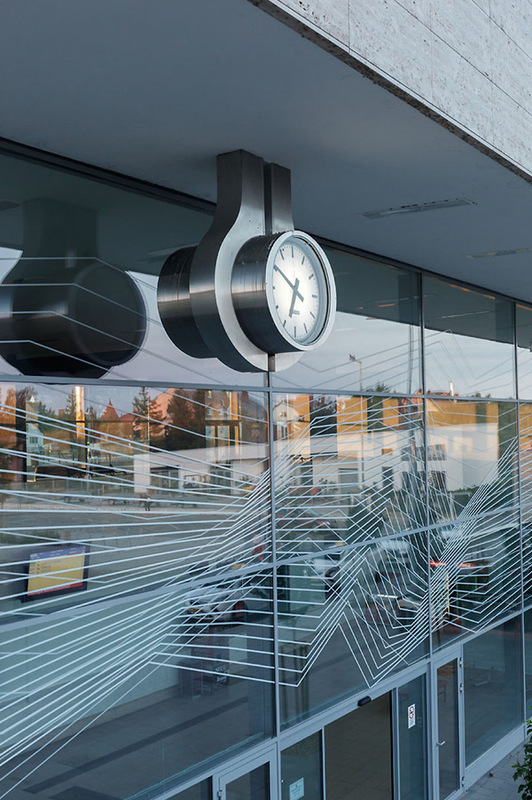 The complete reconstruction of the glass facade was made from 630 square-meters of glass manufactured by CE Glass Zrt. The south facade is covered with 310 square-meters of glass, of which 210 square-meters were printed by ceramic printer technology. 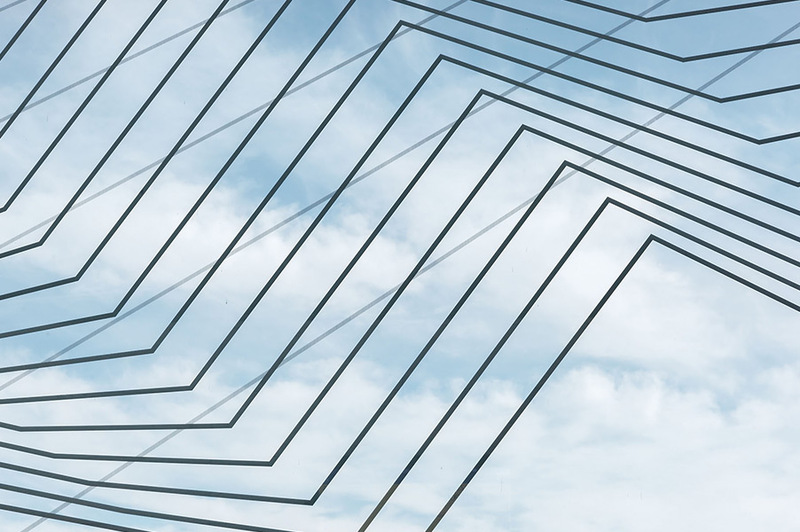 This part is made up of 32 pieces of glass with a typical size of 4x2 m.
Most of the glass panes used during the reconstruction weigh between 350 and 380 kilograms. 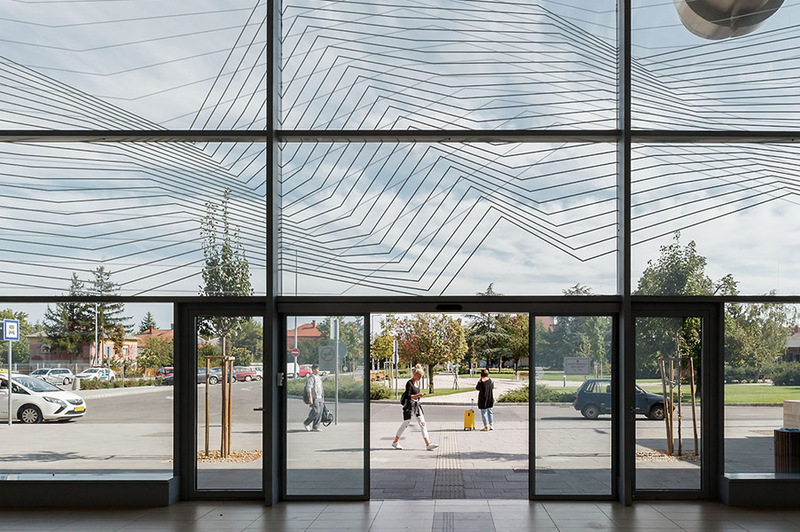 The total investment costs of the railway station reconstruction were HUF 1.1 billion, thanks to which both the local people and holiday-makers can now admire the beauty of not only the sunset over the Balaton, but also the exclusive design of the station facade, reminding them of the lake’s waves.